Queensland Blue Couch Blend, this favorite lawn type is neither from Queensland, nor is it a Couch. Queensland Blue was made popular in Southern Queensland due to its optimum performance and suitability to that region, although it is also highly suitable to many other regions around Australia. 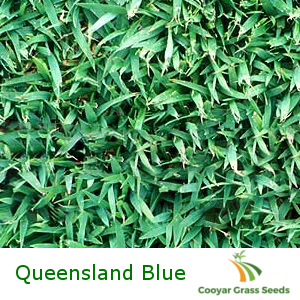 Ideally Queensland Blue Couch Blend should be mowed between between 12-20mm and sowing rate is 1kg per 100sqm (For oversowing), 2kg per 200sqm (For new lawns). Package Contents: Queensland Blue Couch Grass Seed 20%, Rye Grass 70%, Fertiliser 10%.